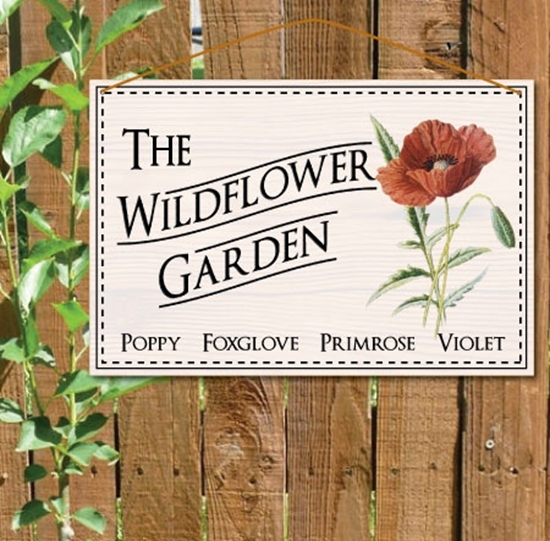 SG-00151 - This poppy wildflower sign makes an attractive feature for the garden, greenhouse or allotment. A vintage wooden style wildflower sign. Made from aluminium composite with wire Fixings. The sign is printed in the style of a traditional painted white wooden sign.